Thought I had to share this with you, my fellow crafters... I found this new app(Android) on Google Playstore and it makes sense. 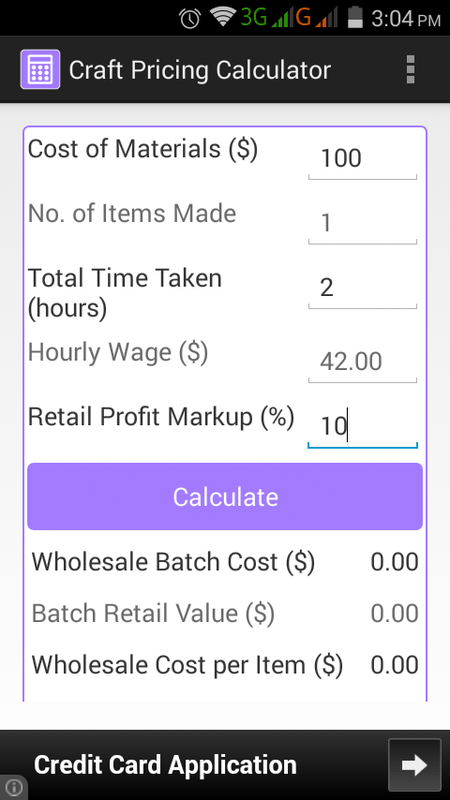 It's Craft Pricing Calculator from Create Solutions (UK) Ltd .
We all know that pricing handmade items can be difficult especially when most people expect them to be cheap. 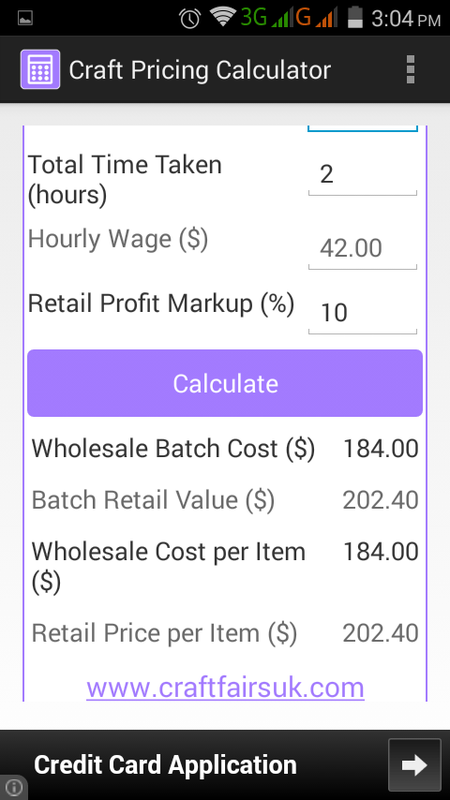 With Craft Pricing Calculator, it allows you to quickly price your item by simply entering the cost of the materials, the number of items you made, and how long did it took you to make them, plus you can also add a profit mark up which is optional. Though the currency is in dollar, it works on any currency. So easy to use and with its help, you can give your client a suggested retail price and wholesale price of an item/s. A must have for every crafter like me.